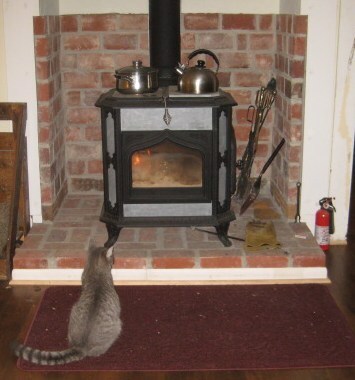 Look what we bought last Friday, a used Heartland Sweetheart wood cookstove. This is a "before" photo, taken before we disassembled it, brought it home, and put it in Dan's workshop to store, until we remodel our kitchen. This cookstove had been listed on Craigslist for quite awhile. When I first saw it, the asking price was $2500. 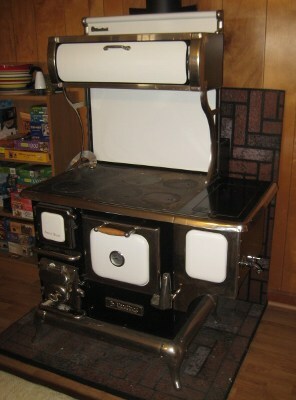 That price seemed impossible to me, but also, there was a Waterford Stanley (my dream stove) on Craigslist for $3000. That price seemed even more impossible. Still, I visited these ads often. After about a week the price for the Waterford Stanley raised to $3500. The Sweetheart eventually came down to $2000. Sweetheart stoves retail for about $4000, and this one included a water reservoir, rear heat shield, and floor protector, all of which added another $1000 to the value. The heat shield is a must for a small kitchen like ours, as it drastically reduces the required clearance behind the stove. Without a heat shield, a minimum 27" needs to be allowed between the stove and a combustible wall. With the shield, that clearance is reduced to just inches. There have been quite a few other woodburning cookstoves offered on Craigslist as well. Most of them old, and listed in the $500 - $600 range. We'd looked at some of these, and though the owners thought they were in excellent condition, they had missing pieces, cracked parts, and loose fittings. They may have been lovely as antiques or decorative pieces, but they were in poor condition for functioning cookstoves. We did research on what it would cost to repair an old stove. The most common wood cookstoves for sale in our area were originally manufactured by Atlanta Stove Works. However, that company has been out of business for a long time, so there is no way to get new parts. Welding and metal fabrication is costly, so that a $500 bargain is no longer a bargain. (If you ever consider buying a used cookstove, an excellent resource is Woodstove Cookery: At Home On The Range by Jane Cooper. 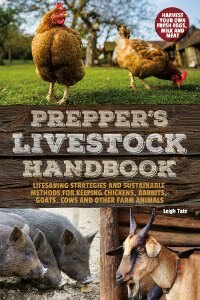 This book gives you a complete rundown on what to watch out for.) The Aga-Heartland company still manufactures the Heartland cookstoves in Canada, so replacement parts and upgrades are readily available. DH and I talked about the Sweetheart for some time. As badly as I wanted it, buying it would completely wipe out the remains of our house fund savings and then some. DH said that was what the money was for, so in the end, we decided to go see it. It was a good price for an important addition to our home. I admit that it took me several days to work up the courage to call to make an appointment. The ad was a month old, so I was pretty sure it had been sold. Lo and behold it wasn't and I made arrangements to see the stove. As advertised it was in excellent condition. Not only did the price include the extras I mentioned above, but also all the pipe: double walled stove pipe, 12 feet of double walled insulated chimney pipe, storm collar, roof flashing, chimney cap, ceiling pipe adapter, and attic insulation shield. All of this would cost an additional $1500 plus shipping to purchase new, but was included with the stove. The only negative is that the oven is a tad small, 13.25" wide, 12.5" tall, and 18" deep (1.7 cu. ft.). It's advertised to be large enough to cook a 15 pound turkey, but unfortunately it isn't wide enough to accommodate my 14.75" pizza stone! Reckon I'm in the market for a smaller pizza stone. This stove though, is for more than just an appliance or a step toward energy independence. It will provide much needed heat for the back of the house. 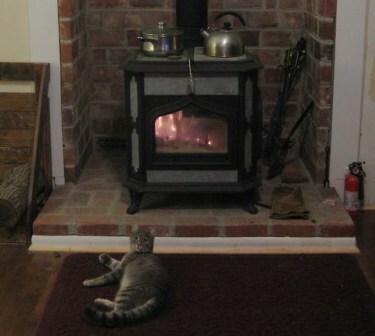 Last winter, our only heat source was our woodstove. Even with fans to blow the heat, the kitchen & back bathroom remained at about 45 F. It was such a cold winter that we ended up using space heaters in the kitchen, back bathroom, and my studio. These of course caused our electric bill to skyrocket. That was a factor in the choice we made for an HVAC system. Until Thanksgiving, outside temps were mildly cool so we only needed occasional heat. For that we used the heat pump, because the soapstone stove takes awhile to heat up. That means it's not so good for quick or short term heat, such as taking a chill out of the air. On the other hand, it burns wood ultra-efficiently, has a damper with a hair's breadth sensitivity, and retains warmth for a long time after the fire has gone out. 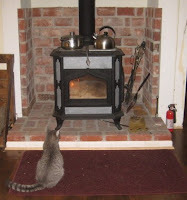 With colder temps since Thanksgiving, we've started using the woodstove. To keep the back of the house warmer, I'm experimenting with how to utilize the heat pump minimally, as an auxiliary heat source. Our new cookstove will solve that problem however and keep the kitchen and back bathroom comfortable. I won't be able to use the Sweetheart until next fall. Not only do we need to re-do the kitchen floor first, but also running stove and chimney pipe up through the ceiling and roof is no little job of work. However, the cookstove is key to being able to resume serious plans for remodeling the kitchen. Everything in that room depends on where we put it. We needed the stove's measurements and recommended clearances before we could plan where to put cabinets, counters, and kitchen table. Now we can start to figure all that out. We hope to get started as soon as we finish that bathroom! We want heat! We want heat! Turn it on Dad, or I'll laser you with my eyes. So. Are you all staying warm so far this winter? What a lucky find...I get the feeling this stove was meant to be yours. The stove is certainly a real beauty, and I am sure you will love it when you finally get to use it. I hope it provides many hours of sweet pleasure and warmth. No chance that DH could cut your pizza stone down to size? Oh she's a beauty Leigh! And how lucky that all the extras were included in the deal. Having the heat shield is a big bonus and must really, as you say. Tania, that's what Dan told me after it had been listed for so long, "if it's meant to be ours, it will still be there." I am so looking forward to using it! Theresa, I'm still amazed at it all. I didn't realize all the pipe came with it and wondered where we'd scrape the $$ from to buy it. Our minds are very busy with plans and yes, we're anxious to getting the bathroom done so we can get started on the kitchen! Oh, that is so cool. As I mentioned before, I grew up with a Aga stove in the house and they do provide a lot of heat. We used to bring in lambs who got separated from their mothers in winter and they were deposited next to the Aga and were very happy. And off course the cats loved it. What a beautiful cookstove! It sounds to me like you got a great deal. RE the pizza stone, I use clay quarry tiles for bread and pizza baking. They are hard fired clay tiles, about 4" square, and are very inexpensive. I bought mine at Home Depot, but they can be found in many places, and for about $2 each. I leave them in my oven pretty much all the time. I am green with envy. I love wood cookstoves and that one is beautiful!! I bet it is killing you that you have to wait until next year to try that baby out. Oh I can't wait to hear all about your cooking adventures. What an amazing deal, with all those extras-I agree with previous comments, it was meant to be yours. Nice! I've always loved cookstoves. That one is gorgeous. I love the "old fashioned" look of it. I checked their website and the model they have now is very sleek and modern.. not nearly as nice. BMT, I looked into the Aga stoves when I first started researching. They sounded wonderful, but since they are "on" at all times, I didn't want even the smallest amount of residual heat during our long hot summers. Not sure if that would actually be an issue in reality though. Ali, thanks! Quarry tiles? What a clever idea. I'll have to look in to those. Oh Wow! I have always wanted a wood cookstove. What fun to learn how to cook in one! It's beautiful Leigh. I'm so happy for you. Love the pic with the kitties at the bottom. that looks great! I am sure you can buy another pizza stone cheaper than a different stove.... you can spend the cold months now figuring out how to remodel your kitchen around that stove, it looks really homely and inviting. I know how difficult it can be to heat efficiently - we never use e-heaters, because the meter runs a marathon with them:(( actually, every visitor from germany complain about the chill in our house, because we only light the stoves in the evenings and over night. when we move during the day, we don't feel the cold much (kitchen has about 14/15 deg C), but when you sit down for an hour or so - it goes a bit nippy. so I started to put a hot water bottle in my back and that's warm enough to keep me happy:)) I think people tend to become extremely spoilt for warmth, when they just have to turn a radiator knob to have more heat. I tend to feel choked when I have to stay in constantly warm rooms, don't like that at all! Oh that is so awesome! I wish the folks that lived in our ole farmhouse hadn't of torn theirs out! They didn't think anyone would want that old thing! Boy were they wrong! I hope the remodel gets underway in time for next year! What an awesome buy! OH MY!!! Am I ever jealous. That is so beautiful and I think it's a real buy. I'm sure you will love cooking on it. I had one put in in a house I used to live in and did I ever love it and love cooking on it. I am happy for you. You will have and love this stove forever! You obviously know how rare it is to find one in such good condition. We, too, have gone to look at so many that were fit only for the junk pile. Definitely misrepresented! I know exactly what you mean about having to have the stove to plan your kitchen around. We're wanting to make an added on room into kitchen and turn the kitchen/livingroom into all livingroom but we are STUCK until we figure out the kitchen stove business. Gosh, that brings back memories over finding and installing the first wood stove at the farm. I loved cooking on it - especially when the power went out for 10 days around Christmas! So right about the heat shield!! Beautiful stove...now I can't wait for next year to see your remodel. Can't wait to hear about your actual "cooking/baking" on it. Congrats! I am so excited for you ... and know this is one welcome addition to your home and your plans! Bettina I think you're right about people and heat. One thing that amazes me are folks who keep their AC so low in the summer that they have to wear sweaters in the house, then in winter they keep the heat so high that they have to wear shorts! I never could figure that one out. 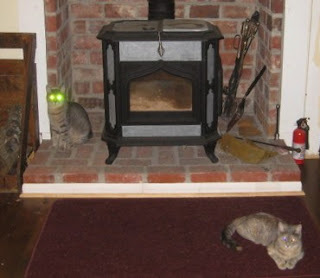 If we didn't have our woodstove then our electric heat would run all the time too. Anytime it runs too long now, I go turn it down. The thermostat picks up heat from the woodstove though, so it doesn't come on very often, especially if it's a sunny day. Still, I dread the arrival of our next electric bill. Mama Pea, it's true. Everything in the kitchen centers around the stove! As impatient as I've felt about it, I am glad we waited until the right one came along. Cathy, thanks! 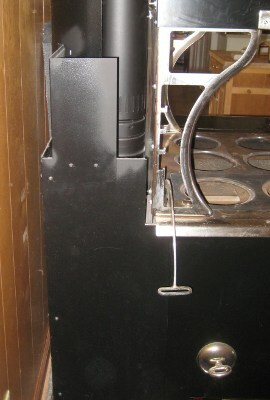 This is the first time I'll have a wood cookstove with a heat shield. I reckon that's why old fashioned country kitchens were so large. That and big families! You should be a "Happy Camper". Geautiful stove!!! My friend is somewhat like you and the only stove she has is a cook stove. Hope you cook many meals on your new stove! I'm soooooo jealous! It's beautiful. Add me to the group who are green with envy. Congrats on getting such a gorgeous stove and such a great deal! I do have my eye on the one at my in-laws house down the road from our country house. I wonder if I could persuade them to part with it? Renee, thank you! I will definitely have to look for those. Actually I've gotten used to a nice big oven, so this one will take some getting used to. I figure it's just a matter of organizing my cooking. Barb, I can't wait. 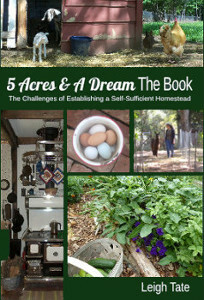 A long time ago I had no electricity and either cooked with a wood cookstove or over a fire. I will keep my electric stove for my summer kitchen so I can do my canning out there. No way I'm going to fire up a wood burner when it's 90 degrees out and I have tons of produce to can! Grace, you never know. Do they use it? Is it in good condition for cooking? Maybe your MIL could be persuaded to teach you how to use it. That would be a step in the right direction! Lovely find! Oh, I'd love a stove like that. Katrien, you've got my curiosity up! Thanks for the link to the cream-of recipe -- that's just what I wanted! And it's so EASY! 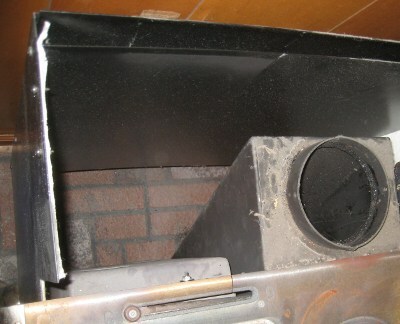 I wish I knew what woodstove my SIL has and uses. She lives on the Columbia River in Washington. It's such a practical tool - heat and coking fuel - and boy, can she put out a meal. Score! I love a good deal and you got one there for sure. I have had food cooked in a wood oven and it tastes so much better, I don't know why, but something is special about it. Are you going to cook on it in the summer or will you have an outdoor kitchen for summer? Sharon, there's just something about cooking on them that is so satisfying. I confess its been a long time since I cooked on a wood cookstove, but I'm assuming I'll get the hang of it again pretty quick! Phoebe, good question. I found an owners manual for this stove at the manufacturer's website, and discovered that a summer cooking firebox shield can be purchased. However, our summers are so hot, and so long, and so humid, that I try to do as little cooking as possible indoors. Rather I set up a hot plate and my toaster oven on the back porch and do most of my cooking there. Except canning. Hot plates don't get hot enough for that so I've done my canning in the house. Before we remodel the kitchen, we'll fix the back porch and I plan to move my electric range out there for summer cooking and canning. I live in New Zealand and put one of these in about 12 years ago, they are superb. It heats enough hot water for our family's needs and is excellent for cooking and keeps our smallish house nice and warm. We finally got it installed earlier this year. It is indeed superb!